Whether you only need care for a few hours a day or if your doctor requires close supervision for your health, AbetLife, Inc. can help. 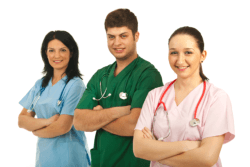 You can meet them in person either for caregiver matching or to consult further about the most appropriate approach to your health care needs at home. Please set an appointment online.